Let’s put things in perspective. In Sierra Leone and across Africa, the science is unequivocal: Climate change, alongside other man-made elements like deforestation and encroachment, is a contributing factor in such disasters. According to the US National Weather Service’s Climate Prediction Center, Sierra Leone has received three times the normal seasonal rainfall this year and such torrential rains are a direct consequence of climate change. This extreme rainfall, combined with the encroachment of creeks and wetlands that act as a natural drainage system for flood water and construction on flood-prone areas cumulatively precipitated this disaster. In early 2017, new data from the UK Met Office and the US National Aeronautics and Space Administration (NASA) showed that earth’s temperature has increased to about 1.1 degree Celsius above pre-industrial levels. This is dangerously close, just 0.4C away from, to the 1.5C threshold set by the Paris Climate Change Agreement to prevent worsening climate change effects. In this trend, the vulnerability of Africa’s coastal cities, such as Freetown, is unprecedented. The sea-level-rise caused by climate change is projected to expose millions of Africans, who live in the continent’s coastal cities, to an increased risk of flooding. The science on climate change is clear. To avoid witnessing a repeat of last week’s devastating disaster, and the demise of Africa’s coastal cities, countries across the continent need to take urgent action. The good news is that practical solutions have already been successfully applied across Africa. In Rwanda’s Geshwati area, a UN project that mapped and developed a comprehensive plan for land suitability is helping vulnerable communities to relocate from previously encroached high-risk natural environments to safer habitation areas. As agriculture is the main livelihood of these communities, this plan is also helping them learn about Ecosystems Based Adaptation (EBA) techniques, which allow them to safely work the land without degrading the area. Simultaneously, the plan is guiding the restoration of previously degraded catchment areas using EBA techniques such as agro-forestry. These efforts have already eradicated landslides that were a common phenomenon in the area. OPINION: Africa and climate change – What’s at stake? A similar two-pronged strategy has also been successfully applied to build resilience in Mozambique’s coastal communities. Here, coastal communities have long been encroaching on mangroves to harvest fish and vegetation. They were depending on fish activity for their survival and experiencing months of food shortage every year. These activities were also harming the mangroves – a natural buffer against flooding – and putting the region at an elevated risk of coastal floods. To help save the mangroves and ensure food security, UNEP invested in a community-led fish-farming, crab-farming and mangrove reforestation project. The project proved to be highly successful in increasing local communities resilience to climate change. By focusing on EBA-driven, agriculture-led industrialisation projects powered by clean energy we can create an opportunity to diversify income opportunities. Cumulatively, this amalgamation can create an agro-industrial sector worth up to $1 trillion by 2030 while ensuring ecosystems are taken care of. It is such diversification that will open up rural Africa – where 70 percent of the continent’s agricultural activity takes place – to industrialisation and create economic opportunities that would relieve the pressure off of urban areas. “Traveling is learning”, says an African proverb. 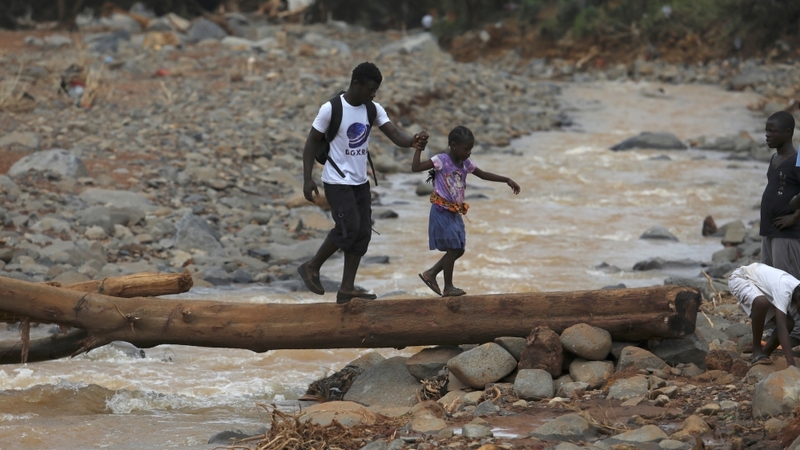 Sierra Leone and other at-risk countries stand a real chance of forestalling similar disasters by domesticating above solutions successfully applied by their counterparts across Africa. EBAFOSA through its modus operandi of Innovative Volunteerism offers an opportunity for country stakeholders to convene their respective capacities for mutual partnerships towards a common end. The solutions are known and we have the means to implement them. Let’s arise to act in the best interests of Africa’s present and future generations.